Kaputt.de: 700% increase in review conversions - Collect Reviews. Drive Sales. 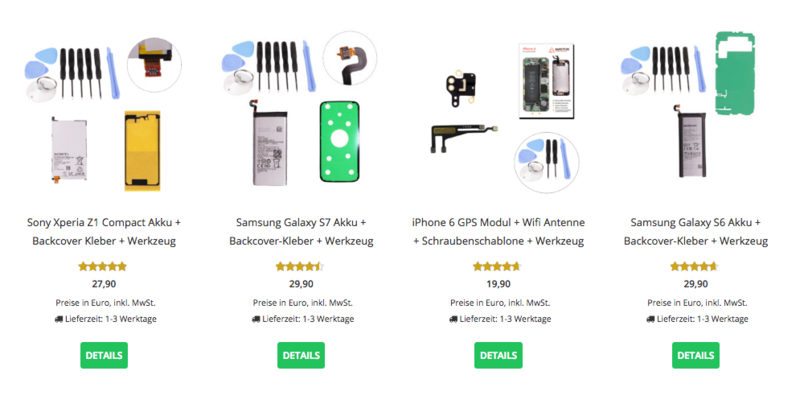 Kaputt.de offers replacement parts and tools for customers to easily repair their own smartphones. With great support and service, Kaputt.de has rapidly grown their loyal customer base and helped thousands of customers repair their smartphones in just two short years. Kaputt.de has always seen value in getting feedback from their customers in order to ensure they keep improving the products and service which they offer. With some customers unsure of what to expect when completing their own repairs, it has been critical for Kaputt.de to show new customers just how satisfied previous customers have been. Having previously collected reviews directly from their customers, Kaputt.de recognised that they had grown to a size where the benefits of a dedicated review collection service made sense to them. Using dedicated review collection services, like those from Collect Reviews, offers companies a number of great benefits. Not only can you save time and effort by having all of your reviews collected and moderated automatically, but you benefit from more trust and transparency that comes from using an independent, third party reviews service. We talked with Kaputt.de about what they considered when choosing a provider and why they chose to use the services from Collect Reviews. “Kaputt.de has always tried to get as much feedback from customers as possible to make sure that customers were happy and we could keep improving our service. Previously we had just emailed all of our customers directly, and asked them to leave a review on our website. Aside from making sure we offer fair prices, Collect Reviews understands that signing up for 12 month contracts is always a difficult decision, especially if you haven’t used a reviews service before and you’re unsure if it’s right for you. Our packages all offer monthly flexibility, and we welcome all new customers to have a risk free trial of our services. Kaputt.de had collected their own reviews for approximately one and a half years before moving to Collect Reviews. In this time, Kaputt.de collected just over 300 reviews. After switching to Collect Reviews, Kaputt.de collected another 300 reviews in the first 3 months of using the service, with review conversion increasing by more than 700%! “The increase in reviews has been amazing. Obviously if you’re going to the trouble of collecting reviews, then you want to make sure you’re getting as many as possible. By making the process of leaving a review as easy and transparent as possible, you encourage more of your happy customers to take the time to leave a review. While negative experiences might motivate some customers to take extra effort in leaving feedback, many of your perfectly happy customers will only take the time for leaving a review if they can do it quickly. 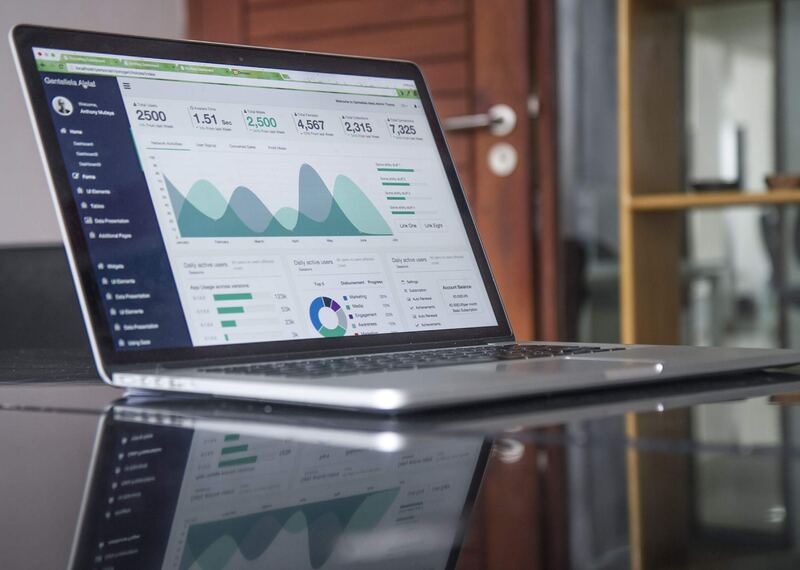 The result of having a simple and fast review option isn’t just that you receive more reviews, but that they are overall more positive and more representative of the true opinion of your customers. This is one of the reasons why Collect Reviews bases their pricing on the number of reviews which you receive. Not only is this a fair way for companies to truly pay for what they are getting, but it ensures that we are always working hard to improve our tools and to work with you to ensure their effectiveness. It’s only been a few months that Kaputt.de has been using the services from Collect Reviews, but we were interested to find out their impressions of the service they have received so far.